Texas State University cross country runner Tina Sierra, a sophomore from La Feria, is wiser, stronger and faster compared to her outstanding freshman year in San Marcos. Competing at the NCAA Division I level is difficult — as is climbing the steep hills of Texas State’s campus to make classes — but Sierra proved her worth in 2017 by helping the Bobcats win the Sun Belt Conference cross country title. The team was led by upperclassmen, but Sierra contributed and qualified to run in the NCAA regionals. In 2018, the Bobcats were the preseason pick to repeat as conference champs based on Sierra and other returning letter winners’ potential. Through two meets this season, Sierra and her teammates have not disappointed. And last week at the Chile Pepper Festival at the University of Arkansas, Sierra recorded her fastest time ever in the 5K. Sierra posted a personal record time of 18 minutes, 27.6 seconds for Texas State and passed up 13 runners in the last 1,500 meters of the race. The former three-time high school Class 4A state qualifier placed 48th among 424 runners at the big-time meet. She had the third-fastest time on the Bobcats’ team, which placed fourth among the dozens of schools in the field. Sierra’s new best 5K time is an improvement of more than a half-minute compared to last year at the same race, where she ran an 18:59.9. Slashing another half-minute would have gotten her in the top 10. Last season, Sierra ran a 19:06.4 in the Sun Belt Conference meet and placed 45th. Now, her new 2018 time might get her in the top 25 and back to the NCAA regionals. The conference meet is set for Oct. 27 in Mobile, Alabama. Twice this season, Gerardo Reyes has been named National Junior College Athletic Association Region V Player of the Week. The prolific goal-scoring forward from La Joya Juarez-Lincoln is kicking the hide right off the ball and has helped Western Texas College, in Snyder (in West Texas between Abilene and Lubbock), attain a No. 10 national NJCAA ranking. 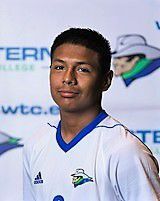 Reyes has scored an eye-popping 10 goals and notched one assist in six games, tallying 21 points for the 5-1 Westerners. The freshman is ranked 14th nationally in goals scored, and he’s been very efficient. Reyes, a forward, has taken only 20 shots. His 21 points rank him 25th nationally. Juarez-Lincoln products Manuel Castrejon and Leonardo Pruneda are also on the Western Texas roster. Josh McGowen, McHi’s record rusher in 2015, is beginning to show Stephen F. Austin University fans the skill set that wowed Bulldogs backers when he earned recognition as The Monitor’s All-Area Offensive Player of the Year. McGowen redshirted in 2016 and saw limited action in nine games in 2017, picking up 129 rushing yards on 33 attempts. He also caught seven passes and returned seven kickoffs with a long of 71 yards last season. This season, however, may be his breakout year. On Saturday in a 24-21 win over Southland Conference foe Abilene Christian, the 5-foot-10, 222-pound McGowen had his best game yet. He was SFA’s leading rusher with 55 yards on 10 carries, and he caught two passes for 26 yards. 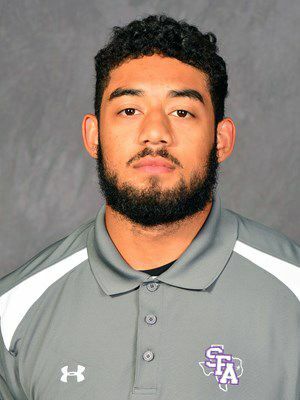 Through three games this year, the sophomore has 79 yards on 17 totes, and 88 yards and one touchdown receiving on seven catches for the Lumberjacks. He still has eight more games to play. Kristi Gomez is still wearing the familiar No. 4 jersey from her days at PSJA Memorial, but her play at Laredo Community College is all grown up. The 5-foot-10 middle blocker is second on the team in kills with 159 in 16 matches. Gomez has also recorded 13 total blocks, 21 service aces and 146 digs for the Palominos. Her efforts have paid off for Laredo. The Palominos are a stout 14-2 (2-0 in conference) on the year, although they are not yet ranked by the NJCAA. 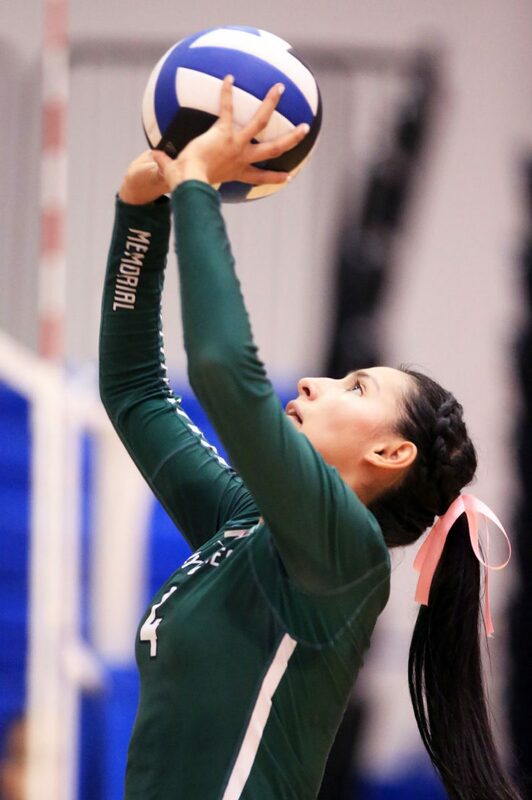 LCC competes in Region XIV against two-year colleges such as Blinn, Coastal Bend and Tyler. 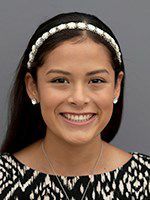 Gomez is a freshman and plays alongside her former PSJA Memorial teammate Deserey Gomez, who has seen action in nine matches.